We are Project Grow. We offer good services for people with and without disabilities. This whole area is inclusion and everyone is allowed to come in here. It is also an employment job for people with and without disabilities, it gives you something to do and make money. You can come here and have good things to do, stay busy, go to dances. We have a community garden; it makes the world a better place, we are planting things. Mondays and Wednesday are homemade art day. We also do a haunted house and it is amazing. We like to go to coffee in the neighborhood and last Monday went to Powell’s. I want you for the Eliot Neighborhood! I see great promise in our community, and I hope to see a number of changes coming in the next few years. I see folks fixing up their houses, building relationships and enjoying life. Continue reading I want you for the Eliot Neighborhood! If you have wondered what is going on at the triangular shaped parcel of land where MLK & Hancock and Grand meet up here’s what is happening. This 15,500 sq. ft. parcel is called the Martin Luther King Jr. Blvd Gateway and Heritage Marker project and is scheduled to be completed by Spring 2012. If you’ve walked or driven down MLK towards Broadway at night you may have noticed the illuminating lights of the rehabbed green building known as the Boxlift Building. 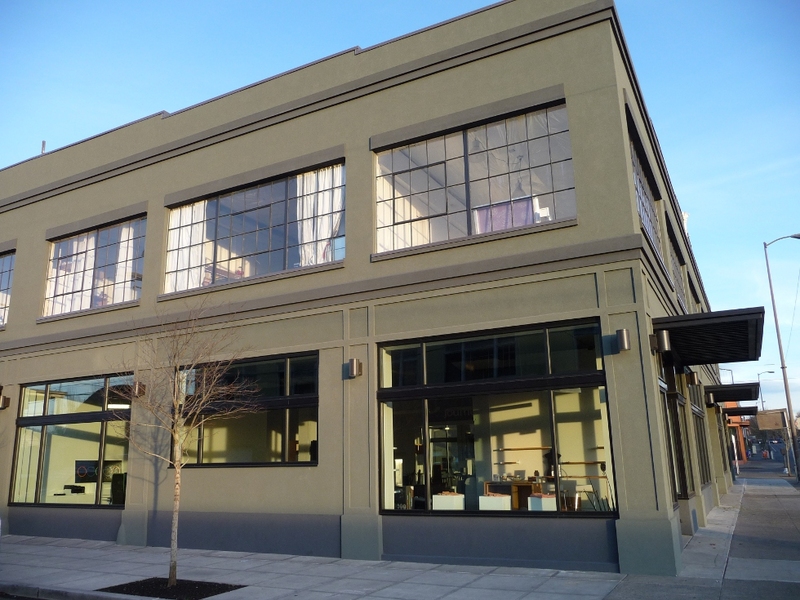 The olive green building recently was completely renovated through a financial and technical assistance from the Portland Development Commission. The Boxlift, located two blocks north of the future Streetcar and a block from Tiny’s at Tillamook, signals a key piece in the walkable, mainstreet feeling on this section of Martin Luther King Jr. Blvd. The remaining 7000 (+/-) square feet of space to be leased in the building, offers a question for Eliot: does Martin Luther King start to act as meeting places that link Eliot residents to Irvington and Boise? Can residents finally enjoy destinations in Eliot by safely crossing through busy, car-dominated streets? I love our neighbors to the north and slightly west as much as anyone. Admittedly, I’m somewhat jealous that they have two “Main Streets” in their neighborhood while Eliot is struggling to get one. Perhaps someday Mississippi or Williams will eventually extend south from Boise into Eliot. 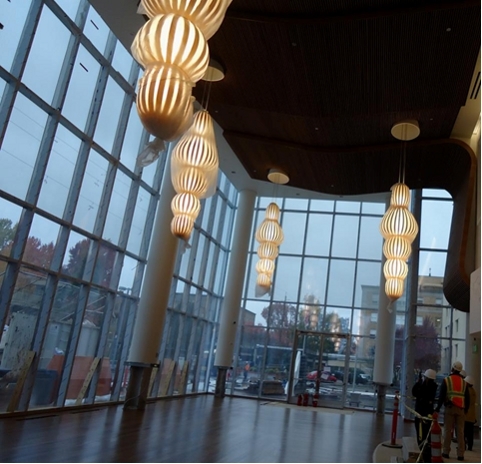 Randall Children’s Hospital at Legacy Emanuel is opening a new home for children’s health care. Located on the Legacy Emanuel Medical Center campus, the new building offers an innovative approach to health care in a healing environment that is four times the size of the current hospital. 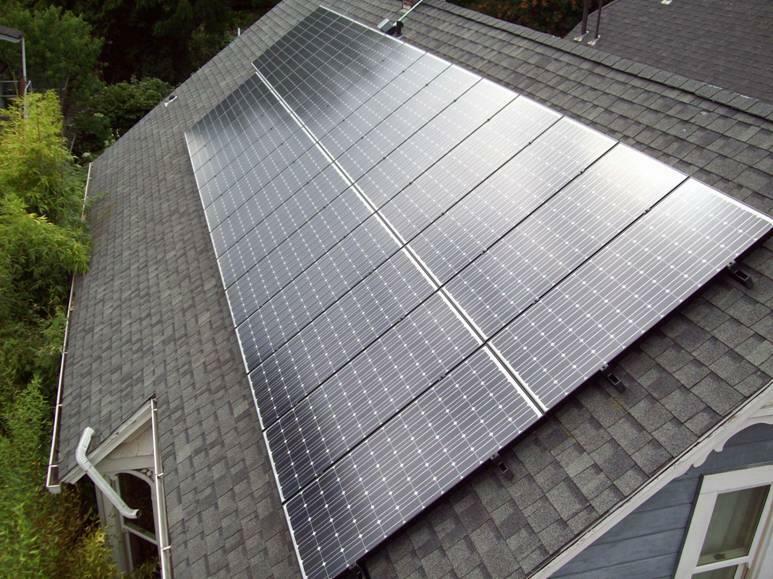 In 2009, Solarize Northeast helped 200 Northeast Portland residents install solar electric (photovoltaic) panels on their homes. In 2012, the 2nd round of Solarize Northeast aims to double the number of solar electric systems in Northeast Portland. The NE Quadrant Plan has two primary purposes; to evaluate options to enhance I-5 performance (meaning expand) between I-84 and I-405, and to update the Central City Plan (including revising zoning as necessary). This is a lot of work for both City and State staff and for the Citizen Advisors (CAC) from each of the neighborhood association and other stakeholders. As a result, the process has frequent meetings of separate “transportation” and “land use” subcommittees of the CAC that discuss options in-between roughly monthly CAC meetings and quarterly public Open Houses. Two new residential in-fill developments are moving forward in Eliot. The first one is rising on the site of the former Morning Star Baptist Church. While it was sad to see the church leave the neighborhood, the vacant lot wasn’t a welcome replacement. 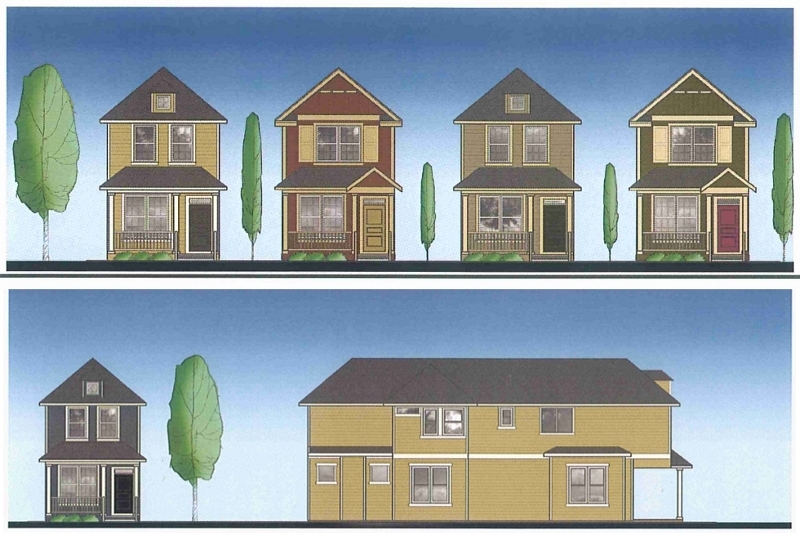 Now several duplex-style townhomes are being built on the site. These will soon be joined by five single homes on the parking lot of the former Cox and Cox funeral home (Graham and Rodney). Despite the sour real estate market, Eliot remains an attractive location and the builders of both projects claim they have had no problem selling these types of homes elsewhere.